The distance from Germany to Australia is approximately 10,000 miles. This seems like rather a long way for a paper airplane to fly. As it turns out, it's really not so hard, if you just launch a hundred of 'em from 20 miles up. Samsung, in an effort to prove that its memory cards are durable enough for all of your high altitude paper airplane launching needs, has sponsored the launch of 100 paper airplanes from a helium balloon floating 122,000 feet above Wolfsburg, Germany. Each of the airplanes has a memory card as cargo, and the hope is that wherever the a plane lands, someone will fire up the memory card and then check in with where the plane was found. Plus, hey, free memory card! The planes were launched on January 17, and so far, there are preliminary reports of landings in Australia, South Africa, India, Russia, Canada and even the U.S. While the stunt is called "Project Space Planes," we wouldn't be doing our job if we didn't point out that the launch height of about 122,000 feet isn't technically space. The generally accepted boundary between space and not-space is 62 miles (or 327,000 feet), or the altitude where you basically have to be traveling at orbital velocity to keep yourself aloft. Even if these aren't really space planes, 23 miles up isn't bad for a bunch of little planes made out of paper, and if the reports of the planes making it as far as they did are confirmed, that's a pretty epic journey. 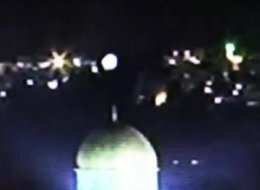 Video of the launch below. Can you snowboard? We can't. Seriously, it's like watching a stickman faint repeatedly at high speed, wearing a plank of wood on his feet and hurtling off a cliff. So it's with bruised bones and a real sense of appreciation that we introduce professional snowboarder Torstein Horgmo to you. Why does he deserve our attention, you ask? Who is this waster loser who makes his rent spinning about on a wheel-less skateboard on the side of some mountains somewhere? Well, he's the man who recently performed the world's first "triple cork" – spiralling the Norwegian 23 year old headlong into the history books at this year's X Games at Aspen, Colorado, and earning him huge legions of fans. 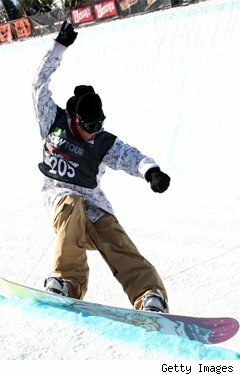 It won him a gold medal at the event (surprisingly enough), and just to make it even more exciting, he pulled off the stunt on his final run of the big-air event. Oh, and by the way, he had some broken ribs when he did it. You know, from a previous crash. Johnny Knoxville is beginning to look like a coward, right? "It's probably the stupidest thing I've done in my whole life," Horgmo said. "It didn't feel right doing it. I don't think the jump was right for that trick." Whatever you say buddy, whatever you say. Just next time you're celebrating, try not to sling your goggles straight at someone's face, okay? Faced with potential power outages across the country this week, many powerless people will be shuttling the contents of their refrigerators outside to keep things chilled. But what happens if you’re in warm weather and are the victim of an extended power outage, and even worse, what if instead of milk and leftovers in your fridge, you have a large supply of lifesaving vaccines? 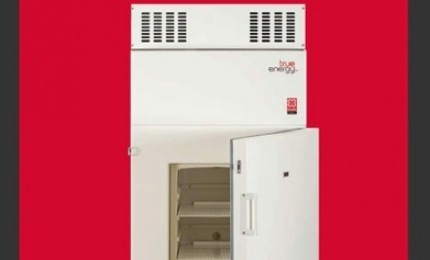 In many third world countries, where power failures and warm weather are common, some aid agencies are using the True Energy Vaccine Refrigerator. It can maintain temperatures of below 50F, without power, in ambient temperatures up to 109F for over ten days at a time. According to a post on Gizmag, the refrigerator runs off mains power, solar power, or a combination of sources. It incorporates True Energy’s Sure Chill technology, which utilizes high-density polyurethane foam insulation and an undisclosed “innovative phase change material” to store energy until it’s needed, allowing for consistently cool temperatures regardless of interruptions in the power supply. It can run indefinitely on less than five hours of mains power per day. Once fully charged, as already mentioned, the phase change material can keep the fridge going for ten days without any power input at all. As a side benefit, this non-battery power-storing capability is also said to make it twice as energy-efficient as similar products.